Screaming Power and the CHEC (Cornerstone Hydro Electric Concepts) Group would like to announce their partnership in creating a mobile solution for Utility customer engagement that moves towards embracing technological change. The solution has been built with Screaming Power’s existing mobile technology “Scream Utility”, which represents 3+ years of Research and Development. Additional work and advisement in 2017 along with Government funding has allowed the parties to rapidly develop a solution for its electric Utility Cooperative and other Utility Providers that want to work together. This Mobile Utility Application will empower Energy Utilities by utilizing innovation and technology that allows for management of energy use and incentivizes energy conservation to help the Utility Providers and customers save time and money. 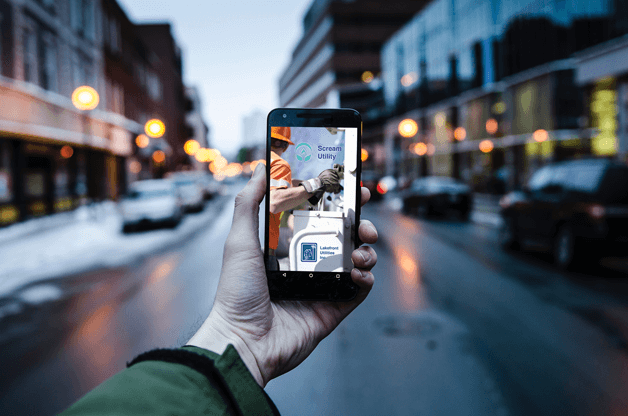 Utilities can provide their customer base with a user-friendly mobile experience that supports digitized information delivery, presentment, conservation, management and education while removing manual or paper-based processes. This mobile technology solution is a useful tool needed to support ‘Smart’ communities. Screaming Power and the CHEC Group are excited about the Mobile Utility Management System’s progress. Screaming Power has offered the CHEC User Group of Utilities special pricing to reduce the burden on the community Utilities who care about their customers. Screaming Power is revolutionizing customer engagement by providing a mobile platform that connects the energy user, allowing for effective and secure two-way communications to educate, change behaviour and encourage sustainability. Our extensible Intellectual Property provides a low-cost, digital infrastructure with a self-sustaining Eco-System. Our Scream Utility & Scream Enterprise mobile solution focuses on reducing ‘cost-to-service’ for while driving user satisfaction and innovation. See www.screamingpower.ca for more information. About Cornerstone Hydro Electric Concepts Inc.
CHEC is a not for profit association that is committed to its members, assisting them to service their customers and communities. They are premier LDC Cooperative in the Province of Ontario and look to exceed their members’ expectations through the sharing of services, opportunities, knowledge and resources. See http://checenergy.ca/ for more information.